Mavic Crossmax SL Wheels will meet your expectations if you are looking for a consistent model for your XC mountain bike. Made with the best materials, they achieve optimal levels in weight and stiffness. Therefore, they obtain very high performances and are perfect for the competition. Besides, we must not overlook the beautiful design with which they come to market. If something always characterizes this version is the solid Maxtal rim. The novelty resides this time in that they are lighter and have reduced the inertia. In addition, the level of response to pedaling is reduced. This is thanks to the new 4 gear ratchets faster. This makes them ideal for accelerations and changes of pace in cycling. The Mavic Crossmax SL Pro wheel hubs are aluminum. They are composed of a very sturdy body. The French brand gives great importance to this part because it is the center of forces. 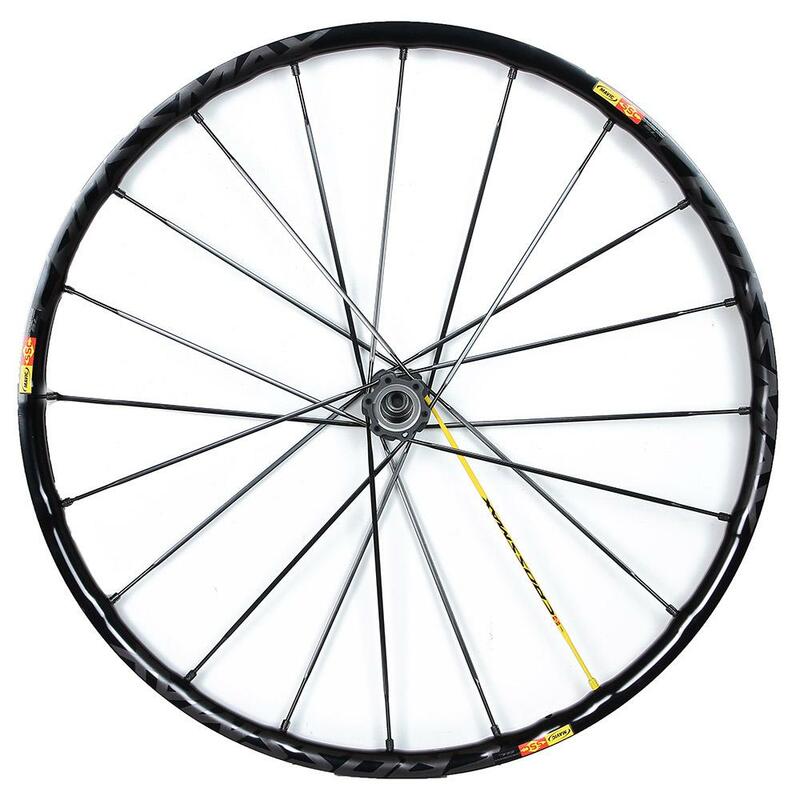 On the other hand, its distribution of the spokes also helps to elevate the stiffness. These are manufactured with Zicral and their alignment is full suspension cross type, which improves the balance. Finally, it is noteworthy that they incorporate tubeless technology very useful to save complicated situations with your bike. They have also improved the material's resistance , which in case of falls used to wear a lot. available for 26 ", 27.5" and 29". weight: 29 "-1,520 pair (front 690 g/back 830 g). Fixing of the brake disc by 6 screws. Compatible with the new 11 speeds SRAM. Ideal for combining with Mavic covers. very nice colors: black with yellow accents. * FROM CoreBicycle We are not responsible for any variation in the final product.